^ Elena Andreeva; Charles Bouillaguet; Pierre-Alain Fouque; Jonathan J. Hoch; John Kelsey; Adi Shamir; Sebastien Zimmer (2008). 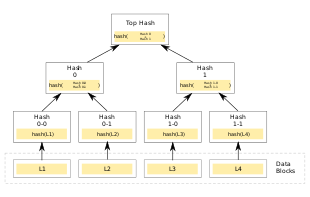 "Second Preimage Attacks on Dithered Hash Functions". In Smart, Nigel (ed.). Advances in Cryptology – EUROCRYPT 2008. Lecture Notes in Computer Science. 4965. Istanbul, Turkey. pp. 270–288. doi:10.1007/978-3-540-78967-3_16. ISBN 978-3-540-78966-6.